Oxygen Freejumping trampoline park in Leeds is 9 different zones of jumping fun! Explore over 120 trampolines, giant airbag, awesome assault course, the world’s first fitness reaction track and much more! It’s trampolining taken to a whole new level! Great family fun for all ages. Mumblers can now get 20% off all standard products at Oxygen Leeds, including: Freejumping, Toddler Jumping, Fitness, Parties & School of Trampolining. Simply quote MUMBLER when booking. Mumbler has secured a 20% discount for Mumblers at any Diggerland UK park. Just print off the voucher and take it with you! To find out more about our trip to Diggerland Yorkshire and our top tips to prepare for your visit read our sister site, Wakefield Mumbler’s review. Diggerland is the UK’s most unique digger-themed adventure park where children and adults have the chance to ride, drive and operate REAL full-size construction machinery, under the guidance of trained staff – no driving licence required! It really is the perfect place to take your kids for an action-packed family day out. Experience the variety of rides and drives on offer – whether it’s enjoying the view on Sky Shuttle, hanging tight on Spin Dizzy, going for a bumpy ride in the Groundshuttle or digging dirt with a 6-tonne digger, there is something for all ages! There are indoor and outdoor play areas, sandpits, coin-operated rides and much more where the younger guests can let off steam whilst parents can relax and just watch the fun… or join in! With four Diggerland theme parks located in Devon, Durham, Kent and Yorkshire, you can dig until your heart’s content! Also available at Diggerland for over 17’s only is Dumper Racing, JCB Racing, JCB Experience Days and Monster Digger Experience Days. Open most weekends and school holidays (closed Nov to early February) openings times vary check the website. 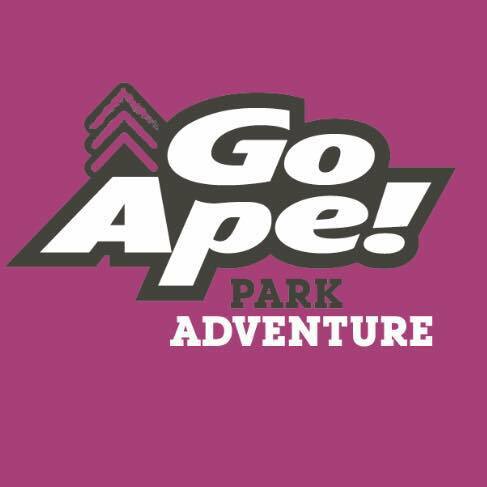 We have teamed up with Go Ape! at Temple Newsam to offer Mumbler’s a 10% discount on all bookings. To redeem use code NLMUMB10 – To book click here. If you are travelling by bus the 19 and 19A buses run to Whitkirk, 1 mile from Temple Newsam House. The No.10 bus runs directly to Temple Newsam House during school holidays from Easter to October half term.